WHAT LIGHT IS THIS? is an exhibition of works on paper that, each in their own way, suggest phenomena of light, atmosphere, water and geological formation through the use of painting and mock printmaking processes. WHAT LIGHT IS THIS? 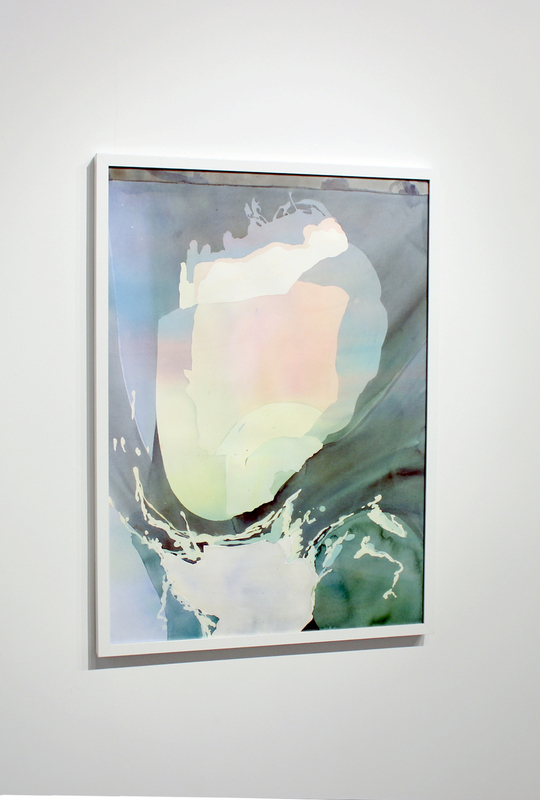 stems from Madera’s interest in presenting watercolour within a contemporary context in Vancouver. Having lived in Vancouver for over 10 years, Madera’s work is influenced by the location of the city, the constant presence of water, and by its visual art community. LAURA MADERA subjectively investigates light and memory in relation to painting – specifically the tradition of watercolour painting and expanding the medium of watercolour within a contemporary art context. A painting, or series of paintings, begins with a question. The painting that follows is the result of negotiating, probing, and conversing within a process of making. For Laura this is a developing and shifting process of understanding and coming­ into­ being that can only be arrived at through a physical engagement with materials. The outcome is a quality of openness in meaning – a painting that refracts thoughts to other things. It’s a strange kind of studio dance, where she dips and tips and shimmies the work into form. The latex masking provides boundaries; a hard edge to work against and a way of visually walking backwards through an image. It is a bastardized version of a four colour printing process, but instead of creating editions, the result is one unique image. Images stemming from direct experience of primal energies in nature. Content is something previously seen, thought, felt, dreamed of, which is then re­constructed or re­imagined through her studio processes. Madera’s desire for these images (and sensations) to become paintings develops over time, slowly. Out of a need to explore the edges and dimensions of the subject – a way to grasp in paint the ungraspable. LAURA MADERA received her BFA from Emily Carr University, and an MFA from the University of Guelph. 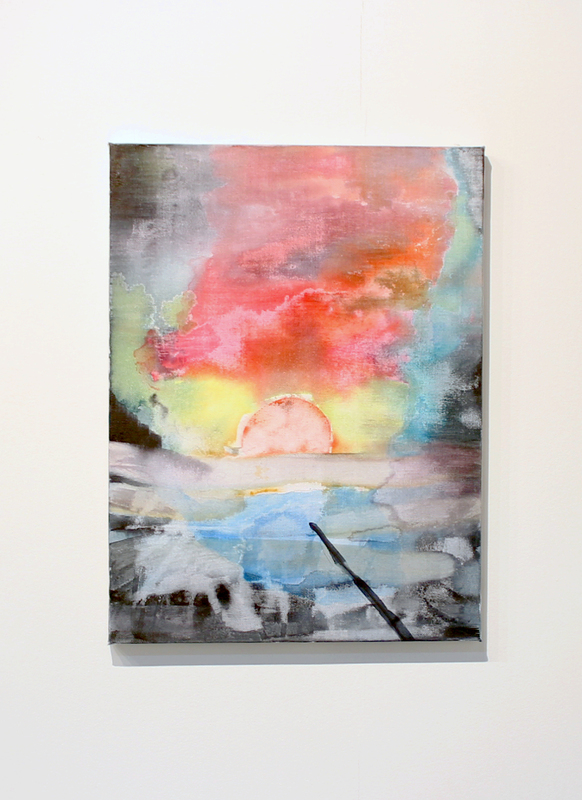 Recently, she was named as one of Canada's most promising emerging painters by the Magenta Foundation. Currently, she is a recipient of an Emerging Artist Production grant from the Ontario Arts Council and serves as a member of the Board of Directors at Artspace.